I’m as close to finished my other sweater as possible, waiting only for the arrival of a skein to make the long-sleeve version. 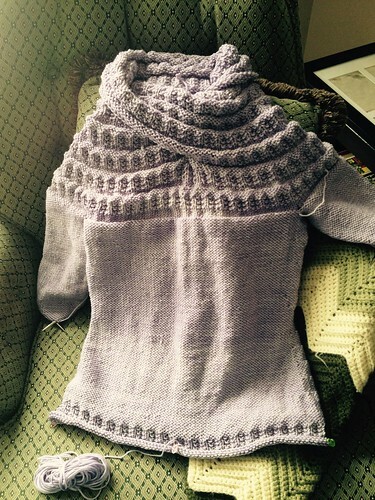 This entry was posted in Knitting, Projects, Sweaters and tagged Harmonia's Rings Sweater, Madeline Tosh, Moebius, Pullovers, Sivia Harding, Sweaters, Tosh Vintage, WIP's, Worsted Knits. Bookmark the permalink.